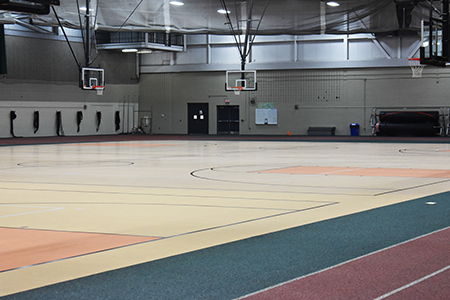 The Byron PE Center features four basketball courts that are typically available for use weekdays after 5:45 p.m. and on weekends. A minimum of one court will be available from 5:45 p.m. - 6:45 p.m. for public use. A minimum of two courts will be available from 6:45 p.m. - 9:00 p.m. for public use. Weekends will be dependent upon leagues and tournaments. Youth 9 years and under must be accompanied by an adult. Passholders may utilize the courts at no additional cost. Non passholders will need to pay the daily admission fee. 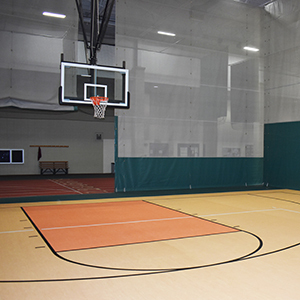 Please contact Renita Krusey at 815-234-6492 for rates and availability to rent courts for volleyball, badminton, soccer, or tennis.